Servicing Your Commercial Heating Rooftop Unit? Does your industrial or commercial rooftop HVAC unit provide adequate heating during our Greater Toronto Area winters and cooling for peak productivity in the office during the urban dog days of summer? 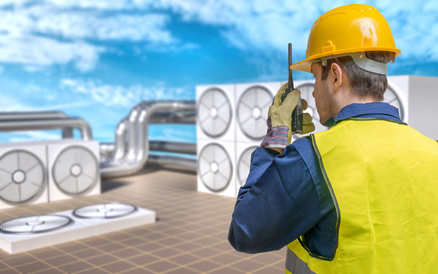 Maintenance, servicing and/or HVAC rooftop unit replacement, if necessary, is key to obtaining an ambient climate controlled system to keep your staff and business humming. Which begs the question… Do you have the best type of commercial heating for your facility? Is there a more efficient and yet cost effective option than your current heating system for your unique workspace requirements? Does your work space have access to natural gas; if not should you consider a commercial heat pump as an ideal alternative or perhaps zone heating? Would dedicated digital controls be helpful for building management? Some commercial rooftop systems are manufactured in various configurations providing multi-zone or single heating, cooling, and ventilation. Some have cool, dry and quiet dehumidification systems for superior commercial building comfort needs. Finding the right choice of an HVAC company in Toronto can be tricky. Be sure to look for previous customer satisfaction, fair pricing, and experienced commercial heating service technicians with lots of installs under their tool belt. If you have multiple facilities, finding one company that handles a wide commercial HVAC service area will likely save you immensely in time, follow-up and possibly even the bottom line. Heating Ontario provides commercial heating service to all of southern Ontario including the Greater Toronto Area. If you have multiple offices, facilities, franchises or warehouses, our broad servicing area can handle them all, no need to deal with multiple companies and heating technicians. One call will solve it all. Ask us about all types of repairs, installs, maintenance of all aspects of heating equipment including boilers, rooftop unit installs replacements or servicing, zone heating, furnaces, or apprise us of your unique situation, and a creative and effective solution will be found.